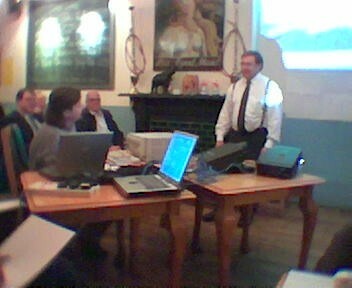 On Monday 20th October 2003 Andrew Davis was the guest speaker at ROUGOL. 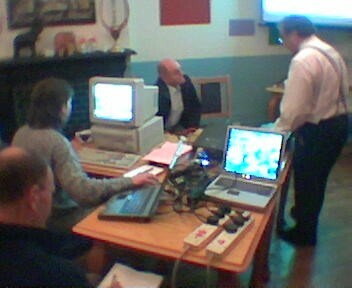 Andrew demonstrated the networking of a RiscPC (RISC OS 4.02) and a laptop (Windows XP). 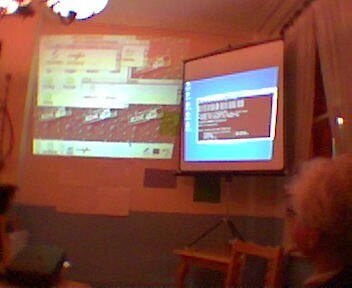 In wild contrast to september's meeting, we had two working projectors this time. 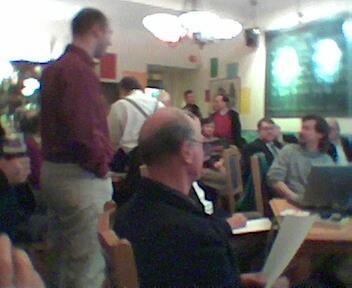 <>Andrew has kindly created some excellent tutorial style notes about networking, which can be found here: [ link to networking notes ]. 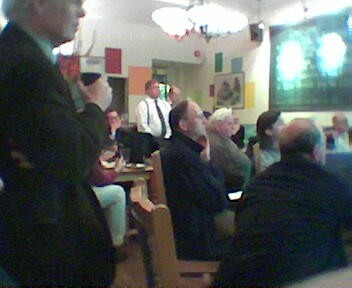 ..but still has plenty of questions. 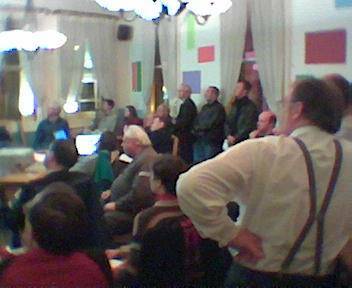 Once again it's standing room only at the BEM.